The GROW mission is to educate and demonstrate urban gardening techniques and to provide quality food for the greater Sheboygan community. 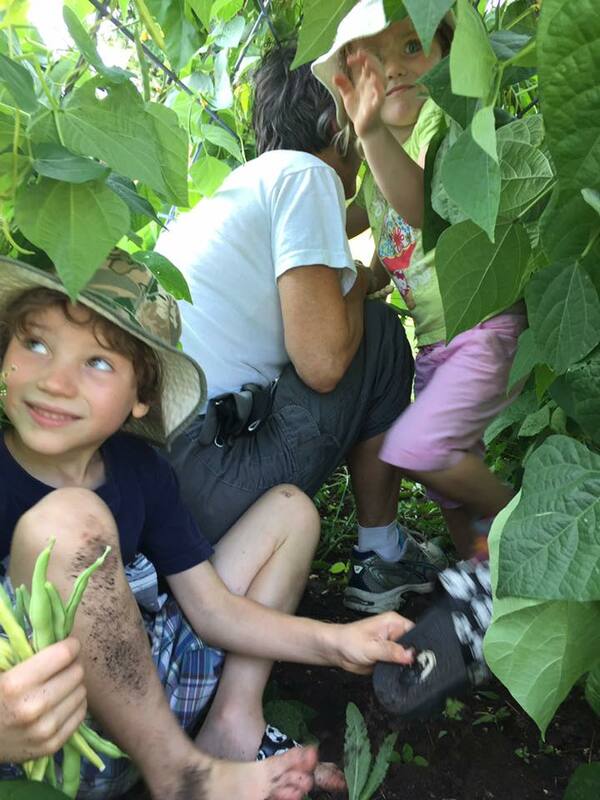 The Eden's Bluff church garden provides opportunities for garden education as well as a rich harvest of vegetables. Sunday School classes and Pilgrim Preschool learners also utilize the space in their curriculum. Check out our current schedule of events online here. There are many opportunities to get involved with the GROW Ministry. Volunteers can help to plan, plant, weed, and harvest the Eden's Bluff Garden or become involved in our kitchen. C0ntact Chris Kuehnel, GROW Coordinator, to learn more. FCC Sheboygan has a Wisconsin Food Processing Plant License, so that extra produce from gardens in the community can be turned into canned goods and used to benefit the community. When operating the kitchen under our license requirements, products can be made and sold wholesale or retail, here in Sheboygan, or across the country. Contact Chris Kuehnel for more information.